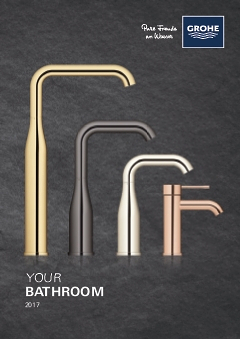 This shower rail set, which comprises a hand shower, a shower rail and a shower hose of the GROHE New Tempesta range, will make a great impression with its efficiency: thanks to the GROHE EcoJoy technology your water consumption will never exceed 5.7 litres per minute – and you won't have to compromise on performance. So you can do your bit to conserve the environment without hurting your wallet. The package offers a choice of two spray patterns: our Rain spray that emulates a soft summer rain and our powerful Jet spray to revitalize your skin. Also the GROHE DreamSpray system guarantees an even water flow from each individual nozzle. This user-friendly set also brings convenience to your cleaning routine: the durable GROHE StarLight chrome finish is effortless to clean with a dry cloth, and our SpeedClean anti-lime system means limescale residue on the shower head is never an issue.